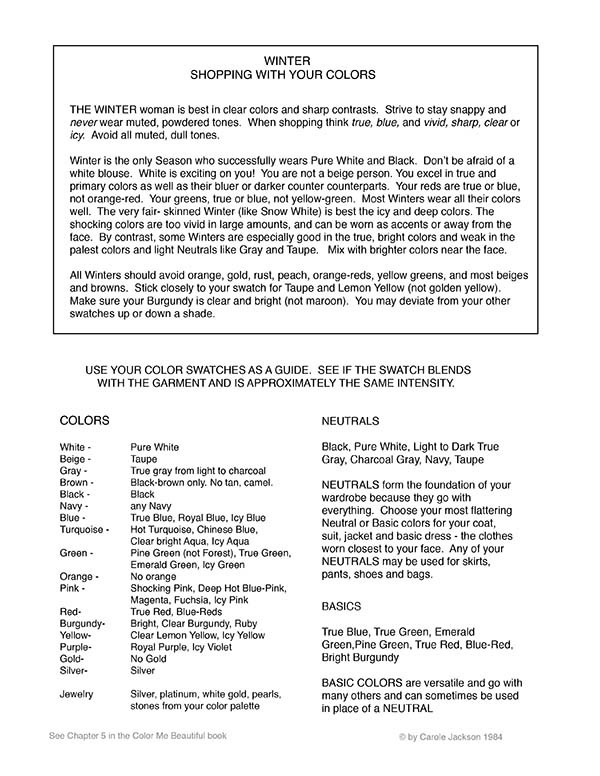 THE WINTER woman is best in clear colors and sharp contrasts. Strive to stay snappy and never wear muted, powdered tones. When shopping think true, blue, and vivid, sharp, clear or icy. Avoid all muted, dull tones. Winter is the only Season who successfully wears Pure White and Black. Don’t be afraid of a white blouse. White is exciting on you! You are not a beige person. You excel in true and primary colors as well as their bluer or darker counter counterparts. Your reds are true or blue, not orange-red. Your greens, true or blue, not yellow-green. Most Winters wear all their colors well. The very fair- skinned Winter (like Snow White) is best the icy and deep colors. 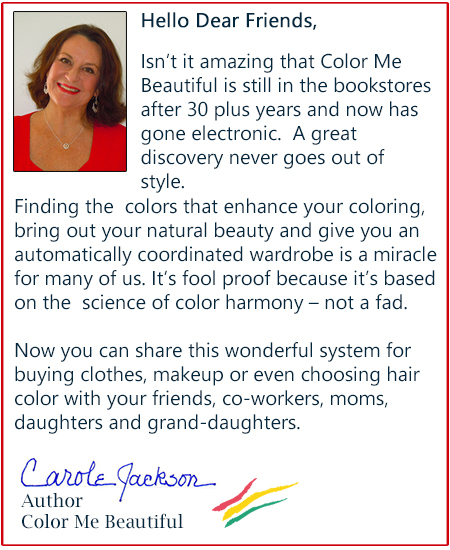 The shocking colors are too vivid in large amounts, and can be worn as accents or away from the face. By contrast, some Winters are especially good in the true, bright colors and weak in the palest colors and light Neutrals like Gray and Taupe. Mix with brighter colors near the face. 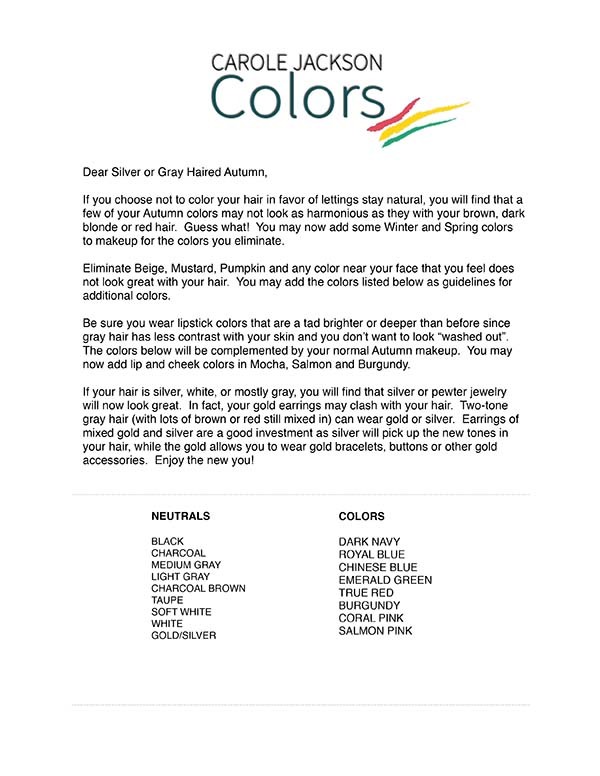 All Winters should avoid orange, gold, rust, peach, orange-reds, yellow greens, and most beiges and browns. Stick closely to your swatch for Taupe and Lemon Yellow (not golden yellow). Make sure your Burgundy is clear and bright (not maroon). 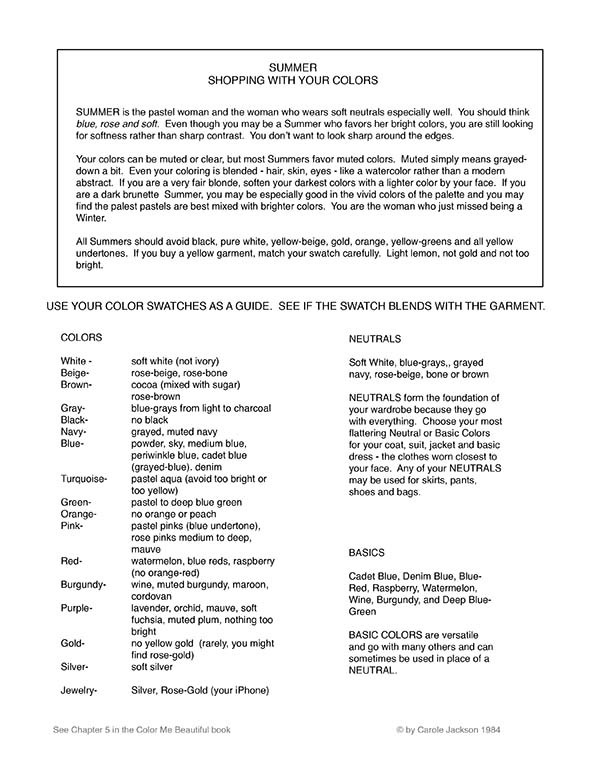 You may deviate from your other swatches up or down a shade. Brown – Black-brown only. No tan, camel. NEUTRALS form the foundation of your wardrobe because they go with everything. Choose your most flattering Neutral or Basic colors for your coat, suit, jacket and basic dress – the clothes worn closest to your face. 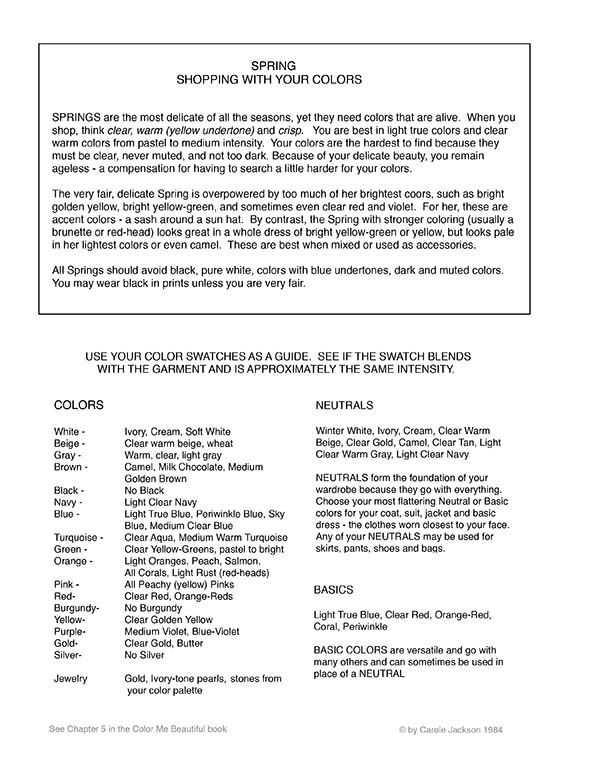 Any of your NEUTRALS may be used for skirts, pants, shoes and bags. BASIC COLORS are versatile and go with many others and can sometimes be used in place of a NEUTRAL. 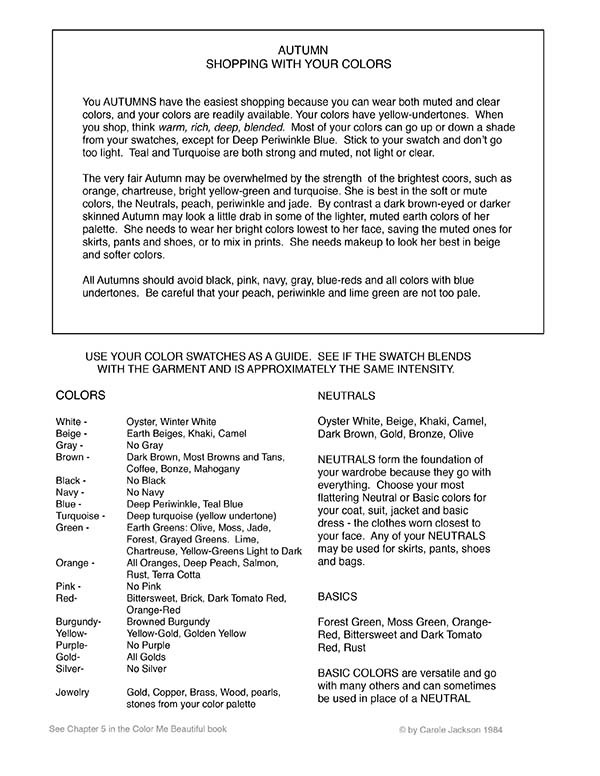 A printable format of this Shopping Guide is in the Print My Colors kit!